New mix: Disco Deviant x The Unity Agency for FluxFM Berlin. A one hour mix Pablo Contraband put together comprising almost entirely of edits by artists on The Unity Agency roster, which was aired on FluxFM as a warm up for Disco Deviant at Prince Charles, Berlin this Friday 23 June. LNTG, Rayko and Luxxury all joining Pablo for a Unity Agency get together. 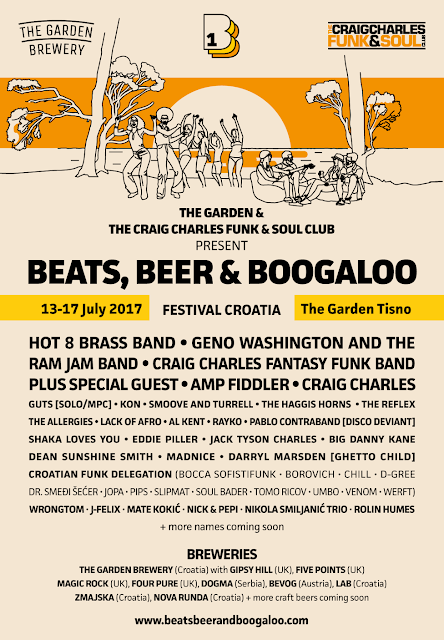 More of the same at BBB, Tisno in Croatia on July 15 with another Unity Agency line up on the Disco Deviant Boat Party in the afternoon with The Reflex, Rayko and Pablo Contraband plus further appearances in the evening at the Beach Stage and late night under the stars at Barberella's. 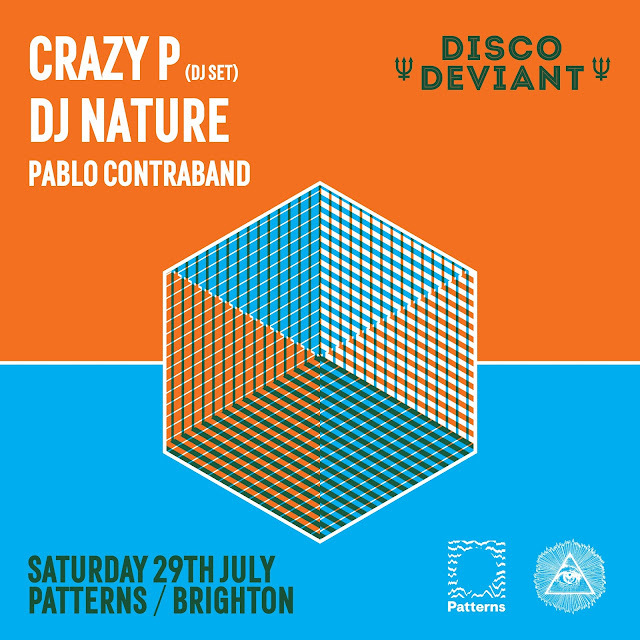 Disco Deviant is proud to invite the highly influential Crazy P for an exclusive DJ set at Patterns Brighton. 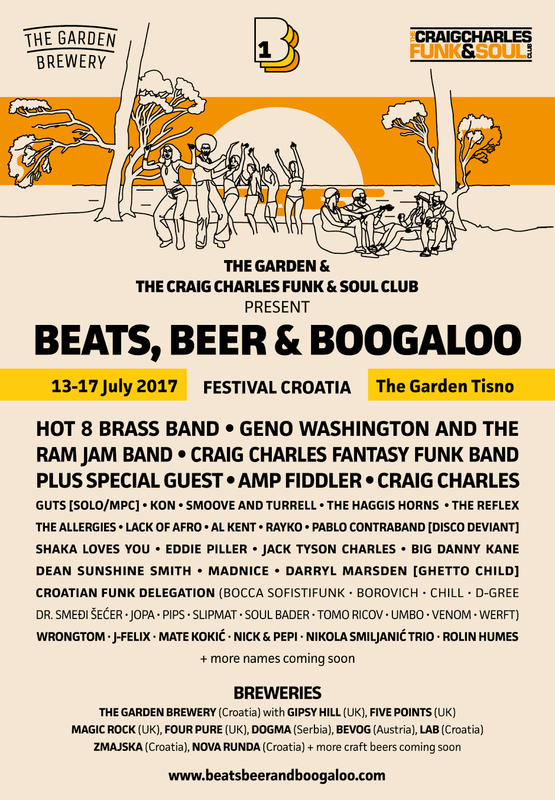 There is little left to be said about a collective that has been at the forefront of British disco and house for more than 15 years, having earned their fame with an “unerring combination of lushly structured songs and live power”, while keeping a strong connection to the dancefloors of the late 90s and their disco, house, and soul influence. Their influence on the British disco and house scene is indisputable, and their rich and exciting discography over the past decade is proof of their exquisite musicianship and dedication to the craft, with releases on Paper Recordings, Shiva, and 20:20 vision. Their last album, “Walk Dance Talk Sing”, out in 2015 on !K7, has naturally led to a busy touring schedule, and we are happy to have them here at Patterns for a show that will capture the Crazy P spirit and offer an incredible experience on the dancefloor. They are joined on this occasion by New York house maestro DJ Nature, on his first appearance in the Patterns basement since the club’s opening night in 2015, where he was joined by Panorama Bar resident Tama Sumo for an incredible session. DJ Nature’s musical background goes back decades to the early 90s, when his love of raw, independent disco, jazz fusion and early house music inspired him to begin his own early productions under the Nature Boy moniker. The project ended in 1993, and what followed was a very successful career as a record dealer and exporter, until 2010, when his first DJ Nature material came out on Golf Channel Recordings and Jazzy Sport. With an impressive amount of releases in the past few years and a beautiful EP out earlier this year on Futureboogie, his output proves to be nothing short of spectacular, and we are more than pleased to invite him back to Brighton for what is sure to be an amazing night. 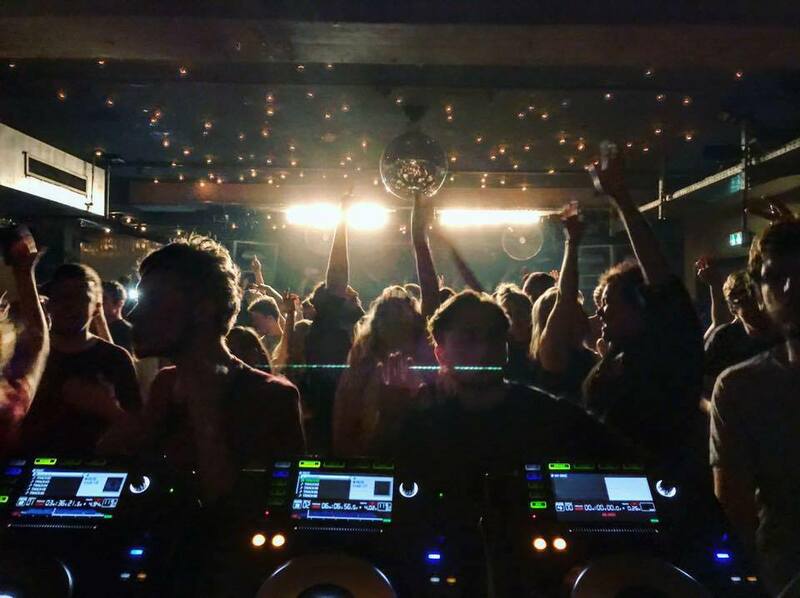 Pablo Contraband heads home to play Brighton for the first time since The Great Escape in May, he’ll be setting the mood for a very special night from 11pm. Tickets starting at £8 each, available through Disco Deviant , Resident Advisor and Radar Brighton.